Challenge Unaccepted: "Black and White Challenge" not helping cancer patients? MANILA, Philippines – A “cancer awareness” challenge is gaining popularity on social media nowadays. But one netizen lauds her disapproval, criticizing the online craze. Starting her lengthy post by the words “Challenge Unaccepted” Facebook user Che Bautista expressed her side on the trending “Black and White Challenge” that is ruling over the netizens the past few weeks. The hyped dare is to encourage Facebook users to change their profile pictures and turn it into black and white as to raise “awareness” with the cancer patients all over the world. Bautista narrated in the post that she belongs to a family whom suffered and loss to the life-threatening disease. She lost her mother whom died of brain cancer, her aunt and uncle died of leukemia and lung cancer respectively, and her cousin diagnosed by an eye cancer. 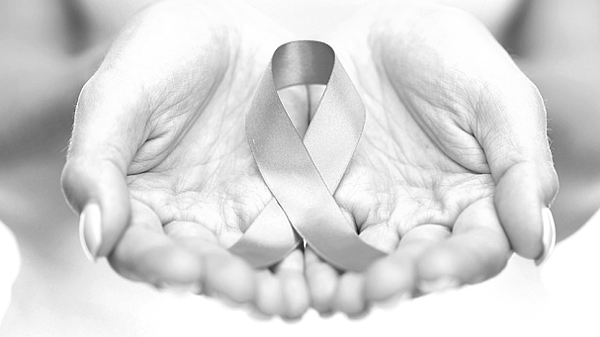 “Your pretty black and white photo doesn't make this world a better place to live in for cancer patients. It doesn't talk about anything about Cancer awareness at all…” Bautista says. She claimed that the photos in black and white does not raise any awareness about cancer at all. Bautista questioned if the pictures says anything on how cancer progresses and how cancer patients deal with radiation, chemotherapy and the suffering that there’s only just a slim percentage of survival—to only hold on to faith. The author of the post also questioned if the photos come any close in depicting the families of the cancer patients as they pray additional days to be with their loved ones. Bautista in the post pleaded to netizens to be sensitive in dealing with cancer-related subjects. But she encourages to rather opt on sharing or posting informative posts about the disease, to join groups supporting cancer advocacy, prayers and even donate money and medicine to the less fortunate stricken by cancer. “Just because its a fad or a craze doesn't mean we have to assimilate and be part of it.” Bautista says. Bautista bravely stands on her opinion about the trend, claiming that to families whom lost loved ones to cancer it is rather awful. In the end of her post, Bautista attached a picture of her mother whom undergone radiation and chemo-therapy. According to Bautista, her mother only lived 6 months after she was diagnosed of brain cancer. It was the most agonizing time of their family. Her post immediately went viral gaining more than 4,400 likes/reactions and over 1,500 shares as of press time. With mixed comments from the netizens. But some, are mostly agreeing to Bautista’s point of view.